After Shravan (July-August), Rishi Panchami (September 03, 2019 Saturday) is the fifth day in Bhadrapad month (September-October) of the lunar calendar. It falls on the next day of Ganesh Chaturthi (September, 2nd). During Rishi Panchami, people engage in the traditional worship of Sapta Rishi (Seven Sages) namely Kashyapa, Atri, Bharadhvaja, Vishvamitra, Gauthama, Jamadagni and Vashishta. 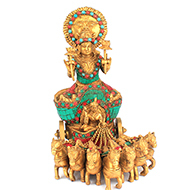 It is also known as Vishwakarma Puja among the local sections of the society in Kerala. On this day, people offer respect, gratitude and study the scriptures of those ancient Rishis. Why? Because those Rishish devoted their life to giving ethical guidance to people in general for their welfare. Women generally fast for their families. On Rishi Panchami, people take ritual bath in holy rivers. 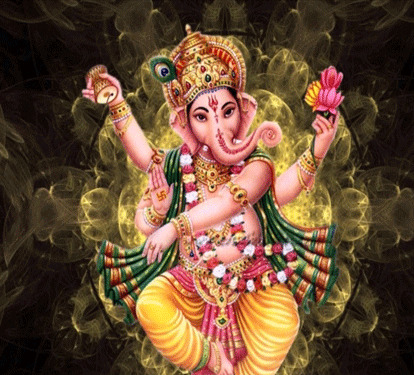 Lord Ganesh, Navagraha (nine planets and their deities), and Saptarshis (seven Sages) are worshipped on this day. The women offer sacred food items to the gods and serve their husbands. Offering prayers to the humble sages rid the worshiper of the modes of passion (rajo) and ignorance (tamo). Rishi Panchami is an auspicious day for washing off all the misgivings committed consciously or unconsciously. The fast observed and rituals performed on this day rid the devotee of all the sins of his or her present or past life. Lord Brahma narrated the story of Rishi Panchami. A humble Brahmin named Uttank lived with his wife Sushila. Their widowed daughter who lived with them was covered by several ants at night. Her parents were shocked to see this. They became tremendously anxious and instantly called a sage who can mend the situation. The sage explained that their daughter committed a sin in her previous life by entering the kitchen during her menstruation. The sage asked their daughter to perform fast and offer prayers to the sages or spiritual masters. This will certainly sanctify her mind, body, heart and soul. She would be then relieved of the sin. Following the directions given by the sage, she performed fast and prayers to sages, ancestors and family gods with absolute devotion. Gradually she got purified and no ant or any other insect ever approached her at night. As mentioned earlier, one should take ritual bath in the holy rivers. If taking bath in the holy rivers such as Ganga, Yamuna, Godavari etc., they can sprinkle holy waters on the head during their morning bath on the day of Rishi Panchami. Observe fast for the whole day. One can take a mixture of curd, milk, basil and butter to detoxify the body and purify the soul. Worship Lord Ganesha with Durva grass in the morning. This day becomes more auspicious when it starts with prayers offered to Lord Ganesha who cuts the knots of sins and removes all the obstacles from your path. 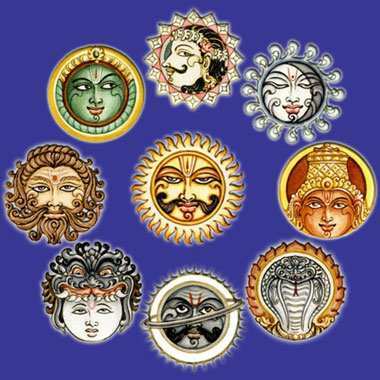 Worship Navgraha or Nine planets namely: Sun, Moon, Mars, Jupiter, Saturn, Venus, Mercury, Rahu and Ketu. 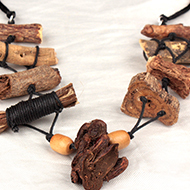 One can worship these planets by installing Navgraha idols, wearing Navgraha lockets, Navagraha Herbal Planetary Pendants, performing Navagraha Puja, using Navagraha Yantras, Navagraha Shanti Pack and wearing Rudraksha combination of Navagraha.